The Government is to develop a process to support ‘advanced trials’ of autonomous vehicles, bringing the possibility of driverless cars without a safety operative being tested on UK roads a small step closer. The Department of Transport (DfT) has published updated guidance on automated vehicle trialling, which re-iterates that the law currently requires ‘a driver or operator, in or out of the vehicle, who is ready, able, and willing to resume control of the vehicle’. 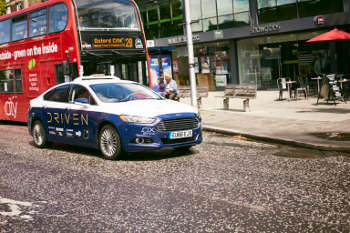 The DfT said that advanced trials will not be supported unless they have passed rigorous safety assessments, adding that the move represents ‘a major boost’ to the sector and demonstrates that the Government is on track to meet its commitment to have fully self-driving vehicles on UK roads by 2021. The document states that the process of approving advanced trials will be available to support industry ‘when they are ready to do such trials’ and that those planning to conduct advanced trials should contact the Government’s Centre for Connected and Autonomous Vehicles in advance. The Times said the process is being finalised, with applications expected to open soon to enable trials this year. However, a DfT spokesperson told Transport Network that it was just starting to develop the process. Transport expert Christian Wolmar, a long-standing sceptic on the subject, told Transport Network that the announcement was ‘hype’ from ministers and that, despite their claims that the UK is a leader in the field, it is way behind companies elsewhere, such as Google’s sister company, Waymo.